I seem to be in the midst of an internal musical revolution of some kind. While I'm still very much drawn towards pop and electronica, I find myself listening to a lot of alternative rock these days. I haven't really been into alt rock since my high school days (as I mentioned in my Cranberries post). I have a feeling that this internal shift has something to do with my situation right now, maybe a bit to do with my mood as well. 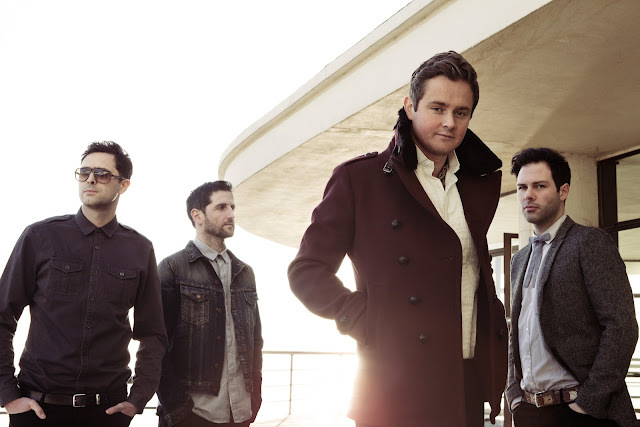 When it comes to alt rock, Keane is the best of the best and their brand new single, "Silenced By The Night" is no exception. 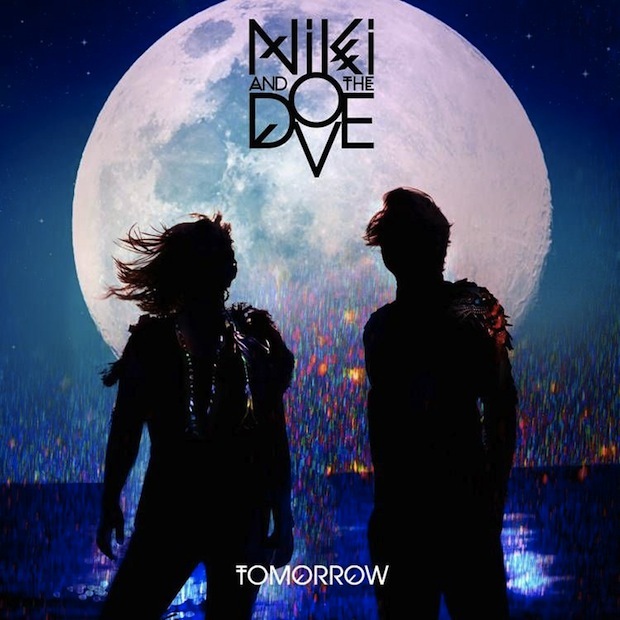 "Tomorrow" is a new single from Stockholm based electropop trio Niki & The Dove. Formed in February 2010, Niki & The Dove is the aural genesis of Malin Dahlström (vocals), Gustaf Karlöf (keyboards) and Magnus Böqvist (drums). Signed to Sub Pop/Mercury Records, the trio released their debut EP, The Drummer, back in October 2011, featuring two singles - "The Fox," and their only "hit" to date - "DJ, Ease My Mind." The 7-track EP was the precursor to Niki & The Dove's forthcoming full length debut album, Instinct, due out May 14th in the UK. In December of 2011, the BBC nominated Niki & The Dove for their annual 'Sound of 2012' poll where the trio came in fifth place. First The Cranberries come back, now Garbage? It just keeps getting better! "Blood For Poppies" is the first new single from Garbage since the band went on "indefinite hiatus" six years ago and I couldn't be happier that Shirley Manson and the crew are back doing what they do best - creating dark, moody rocktronica music. 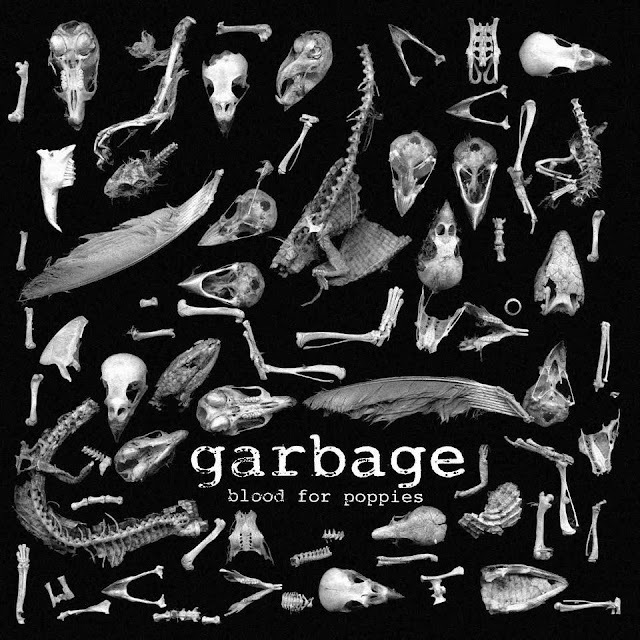 Written and produced by Garbage, "Blood For Poppies" was released as a free download on Garbage.com March 15th. The single was added to Alternative Rock Radio and Triple-A Radio in the U.S. March 20th, followed by the singles official release as a digital single March 26th - March 28th (depending on where you live). The song went on to peak at #24 on Billboard's Alternative Songs chart and at #41 on Billboard's Rock Songs chart. The single will see a physical release on CD single April 16th, followed by a 7" vinyl release April 21st which just so happens to be Record Store Day (check out the 7" vinyl artwork for the single above). If you have your heart set on the vinyl pressing, you better act fast because only 2,500 units were made, 1,900 of those for U.S. distribution. The vinyl features the single plus an exclusive 'Heads Down Here We Come' remix. It should come as no surprise that after only a handful of listens, I am officially obsessed with Paloma Faith's new single, "Picking Up The Pieces" (out May 20th). Serving as lead single from her sophomore album, Fall To Grace (out May 28th), "Picking Up The Pieces" was co-penned by Paloma, Wayne Hector (James Morrison, Westlife, Cheryl Cole), Tim Powell (Sugababes, Gabriella Cilmi, Pet Shop Boys), produced by Nellee Hooper (Björk, Madonna, Garbage) with Jake Gosling (Ed Sheeran, Wiley) serving as co-producer on the project. At just over 4 minutes, "Picking Up The Pieces" is the perfect vessel for Faith, who's voice soars to new heights in this emotionally-saturated ballad about lost love. While Faith has no problem dominating those big notes seamlessly, it's the quiet, subtle moments in the song where her immense talent shines through the most. Faith strikes the perfect balance, exercising equal parts strength and restraint, easily bringing a listener to tears. I don't really know what to make of X-Factor judge and now former N-Dubz vixen, Tulisa Contostavlos' debut solo single, "Young." The song was written by Peter Ibsen, Ali Tennant and Richard 'Fazer' Rawson, who also served as producer on the track. "Young" just might be one of those mindless summer club anthems that everybody dances to because it's playing. Stop and listen to the lyrics (or lack their of) and you'll quickly realize that this song is completely without substance. Of course there's a place for this kind of music, unfortunately for Tulisa, Cascada currently corners that market and has for sometime. Here's hoping the rest of her album offers a bit more. "Forgive me for what I have done, cos I'm young," she repeats over generic David Guetta-lite dance beats. I guess if Tulisa was looking to create a fun, clubby summer anthem, she's completely succeeded. The single is complemented perfectly by a beautifully shot video, filmed early March in Miami. The video features Tulisa and some friends having fun, trashing a big luxurious hotel suite and frolicking on the beach. About what you'd expect, given the song's depth. Overall, I was just hoping for a little bit more. While it's quite evident that Tulisa can sing, "Young" just does absolutely nothing to showcase her talents.